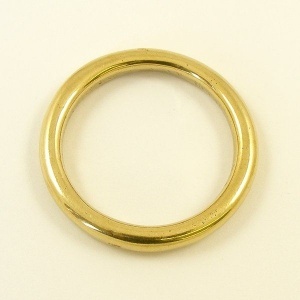 This is a solid cast brass ring with an internal diameter of 38.5mm and an external diameter of 48.5mm. 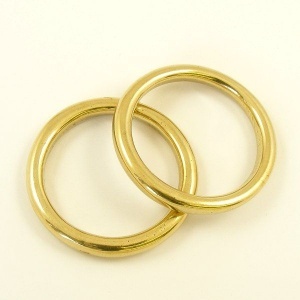 If you want a more economical fitting with the same appearance as this, we recommend our brass plated iron rings. On this size of ring, the metal is 5mm thick.